Be it steamed asparagus, poached eggs or a sunday roast – it takes a finely tuned sauce to make it complete. 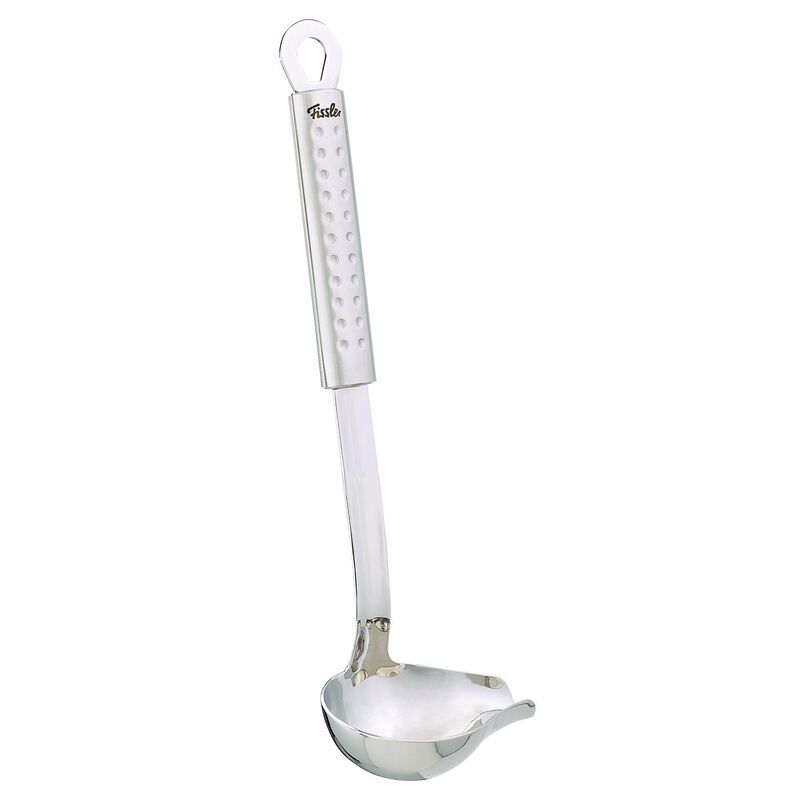 If you prefer a good spoonful to a few decorative dribbles you want a proper sauce ladle among your kitchen utensils. The spout of this model from the Fissler magic kitchen accessory series is extra wide. Therefore it allows for a precise and perfectly dosed pouring directly on the plate.